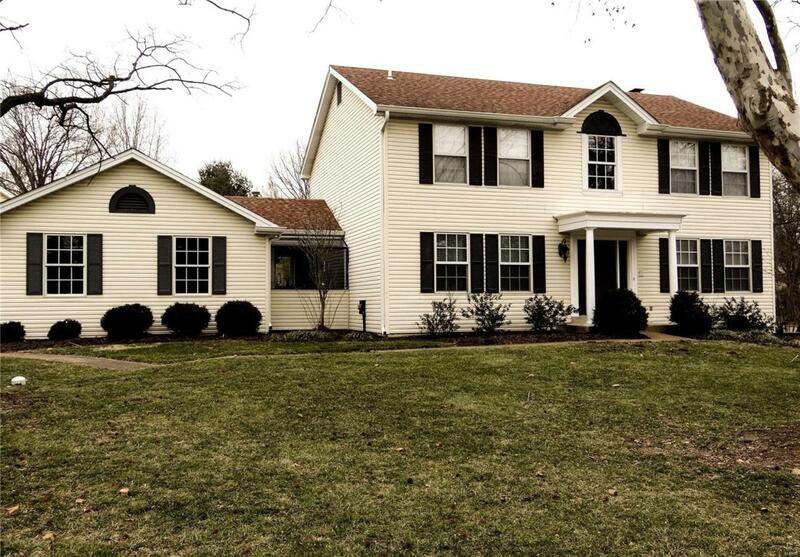 This is a must see beautiful home in Chesterfield!! You are greeted by elegant hardwood floors throughout the main level of the home. The formal dining & living room have an abundance of natural light beaming through the windows!! Walk into the kitchen featuring Granite counters, an island, custom built cabinets, lots of storage space w/ an enormous pantry, & updated stainless steel appliances!! The family room boasts a fireplace, w/ lots of natural light, open concept and direct access to the patio making it the perfect place to entertain or to relax after a long day!!! The Master Suite offers everything you would want w/ a massive Walk-in closet, his/her vanity, rainfall shower w/ multiple body sprays and a separate tub, not to mention, heated floors! The second floor offers 3 additional roomy bedrooms w/ crisp finishes & plenty of closet space. Enjoy the large finished basement w/ an extra room or office space. Come & make this home your own and start making memories right away! !